Today I am going to share my experiences and thoughts on diapering (yuck!!!). Diapering is one of the major issues with babies (and their parents) till potty training. Being a mom to an active baby, I was faced with various diapering related issues, such as, whether to use diapers, which ones to use, etc. So, I am penning down my experiences with a few diaper brands available out in the market. With each day, new ones are coming up which I have not used and probably will not be using (so cannot give information on those). I do not claim to an expert on this, but would like to share with all the new mommies my experiences in diapering my son from his initial days - today. In the beginning of my motherhood, everyone advised against using diapers on my baby for at least the first 40 days. We did as prescribed by my mom, my mom-in-law, and other ladies of our senior generation. They say the baby should wear old cloth nappies as the newborn's skin is too soft and would easily rash on excess diapering. But, I had bought "Huggies new born baby" diapers as my son was due in August and I thought that it might be necessary during nights. But the surprise factor was at the hospital where they used diapers since the baby was born.So, some of the prejudices we were carrying was broken. Still when I came home after 3 days, we decided to go with the old cloth nappies instead. The only problem was handling the baby required extra care if you don't want to spoil your own clothes. So, I used diapers when we had some visitors or in extremely cold (after rain) days. As it is uncomfortable for the baby to stay wet for long duration. The initial ones were Huggies new born baby diapers but then I tried Pampers (they are the softest out there, feel like tissue paper), and have stuck with the brand since then. 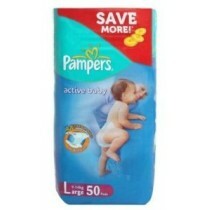 Once the 40 days were over, I religiously used Pampers and my baby didn't have any rash problem. They have very good absorbing power (the baby is dry, resulting in no rashes), and the tape at front makes it reusable as well. 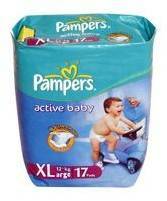 But, a word of caution, Pampers has two sub-brands, one is Indian and the other is imported. Please use the imported ones (a tad bit expensive, comes around average INR 13 per diaper compared to the others retailing at INR 10/11). We once got the Indian ones (worst experience ever). The diapers (though absorbent, don't seal in the moisture, result: baby was wet all the time, more chances of nappy rash). 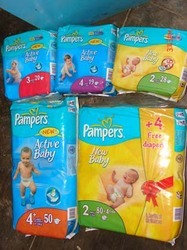 Pampers also has some big packs which come out cheaper (in packs of 38/50 with INR 500/650). So, I used Pampers with baby wipes resulting in no rash effectively for the past 15 months and I must say all the old world advice has turned out to be more false than true. Apart from Pampers, I have used Huggies and Mamy Poko pants. 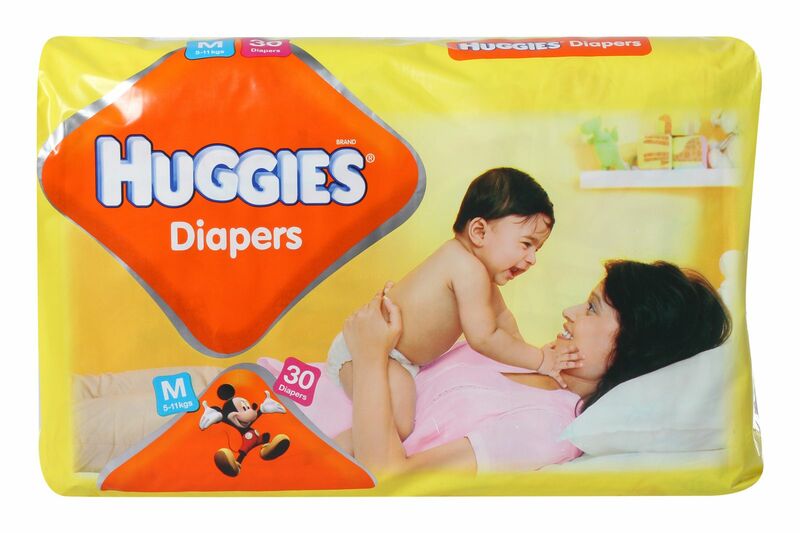 Both seem like budget brands compared with Pampers (Huggies some variants are as low as INR 9 per diaper and Mamy Poko Pants comes around INR 10 per diaper). Both are good brands but you have to also take into account your baby's response to the product (each baby is different). Huggies did not suit my baby as he broke out a few times. The material was not very soft and probably not highly absorbent. With Mamy poko pants, I found the elastic a bit to tight. Also, I feel that till your baby learns to crawl/walk you should not go for pant style diapers as it is difficult to change. Also, the diapers in small sizes (new born, S, M) are a little bit cheaper than the bigger ones (L, XL). But for me Pampers were a blessing in disguise, as I had to leave my child in the care of my mom-in-law, and even she found them better than cloth nappies. 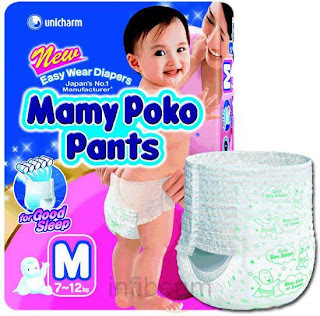 Currently, I am using Pampers Pant style diapers as their elastic and material is softer and more absorbent than Mamy Poko pants. But then again, each baby is different, you should go by your mother's instinct first and you would know what your baby wants and responds to.